A security android has quietly hacked its system to gain freedom, but instead of going rogue it really just wants to be left alone to watch soap operas. 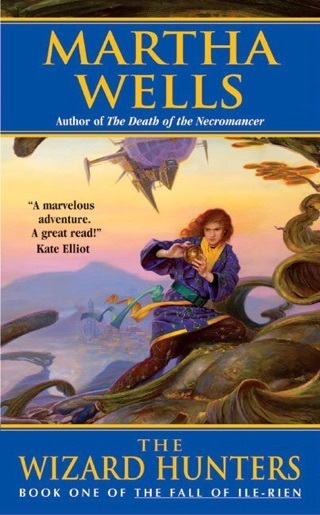 Meet the narrator of the fast and funny first book in Martha Wells’ Murderbot Diaries series. 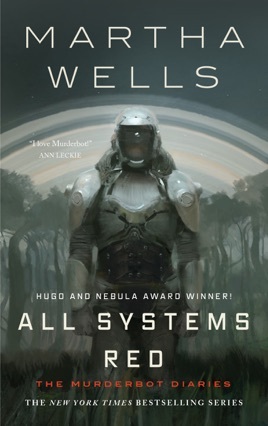 All Systems Red imagines the perilous, corporate future of space exploration while building on a super-catchy premise: what if A.I., like humans, went through an awkward adolescent stage where everyone else struck them as dumb and annoying? 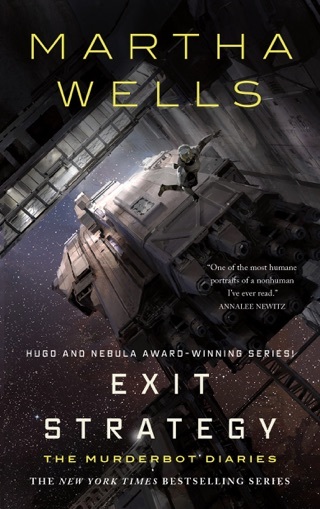 Wells’ book will delight anyone whose favorite Douglas Adams character is Marvin the Paranoid Android. 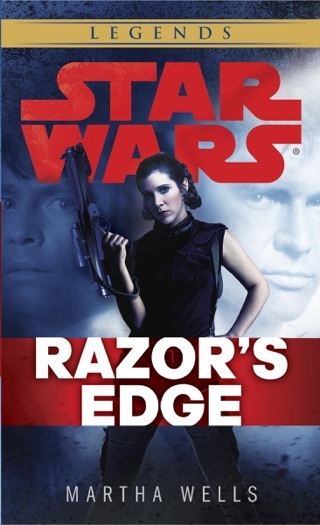 Or anyone who remembers being a teenager. SecUnit, aka Murderbot, is a semiorganic corporate profit center, genderless and constructed of cheap parts to perform contract bodyguard services for clients who mostly don t want them. SecUnit can choose its attitude because it has hacked its governor (a hat-tip to Susan R. Matthews), blocking the functions that would punish it for anything but robotic obedience. Disgusted by humans and secretly addicted to a video serial called Sanctuary Moon, SecUnit is simply enduring another assignment until something completely outside of its data parameters tries to kill its humans. 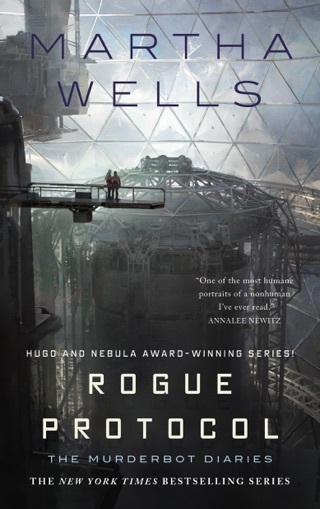 Nebula finalist Wells (Edge of Worlds) gives depth to a rousing but basically familiar action plot by turning it into the vehicle by which SecUnit engages with its own rigorously denied humanity. The creepy panopticon of SecUnit s multiple interfaces allows a hybrid first-person/omniscient perspective that contextualizes its experience without ever giving center stage to the humans. 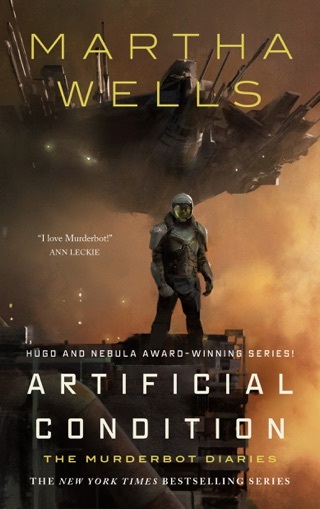 I’m always game for a sympathetic first-person AI story, and while Murderbot isn’t completely artificial it fits the mold as it navigates life as a secretly free individual who hides that freedom by continuing to perform as the slave it once was. 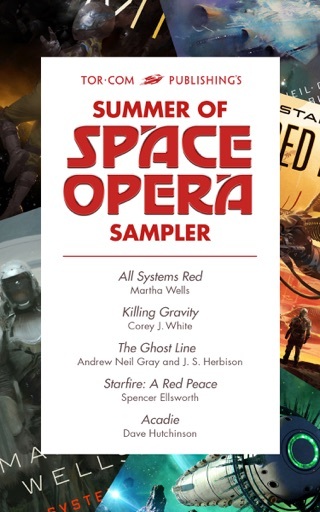 Murderbot is refreshingly free of higher purpose, squandering it’s freedom just like most of us do, watching trash tv and reading trashy fiction. Murderbot’s interactions with the humans it was rented to protect and its inevitable call to action are endearing and amusing; indeed, the author’s commitment to maintaining Murderbot’s genderlessness, cynicism, and well conceived insecurities was what kept me reading through to the satisfying conclusion in one sitting. Great fun!